WASHINGTON (CNS) — To be a voice for victims of clerical sexual abuse, Father Brendan McGuire realized he had to come to terms with the abuse he suffered at the hands of a priest when he was 18. It was a secret he had held for 35 years. 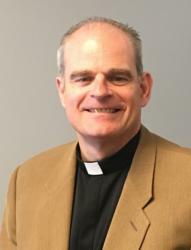 In a Sept. 13 letter to Catholics in the San Jose Diocese, Bishop Patrick J. McGrath said the diocese would conduct three “listening sessions” for abuse victims and their families and for Catholics “on the pathway to reform”; release in mid-October of names of all credibly accused priests who ministered in the diocese; and open an independent examination of abuse allegations by a firm headed by Kathleen McChesney, the highest-ranking woman in the FBI before leaving to become the first executive director of the U.S. bishops’ Office of Child and Youth Protection in 2002.